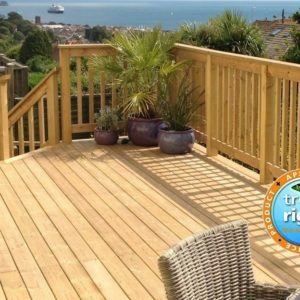 Rustins Textured Decking Oil includes ingredients to improve the slip resistance of exterior timber decking and timber walkways in both wet and dry conditions. 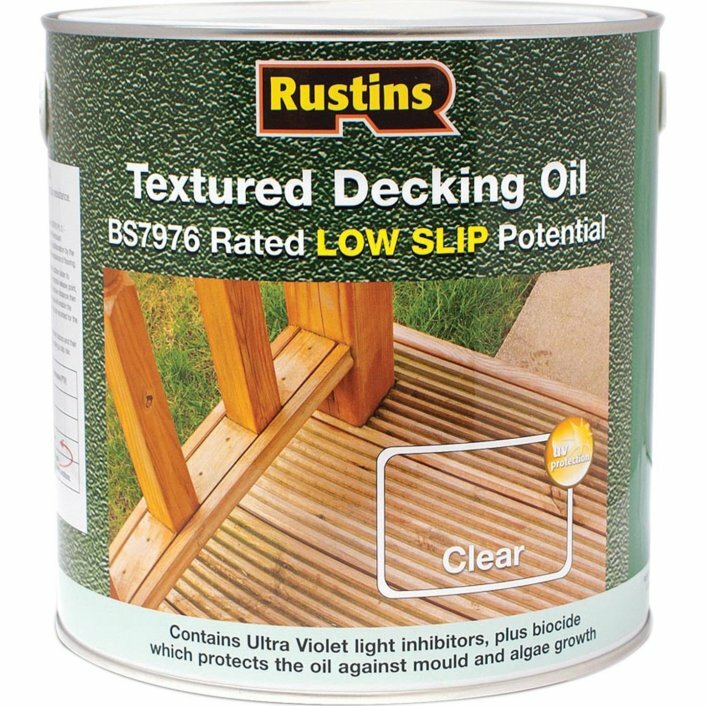 This Rustins Decking Oil is independently tested and rated as ‘low slip potential’ according to BS7976, Part 2, 2002 assessment of slip resistance. 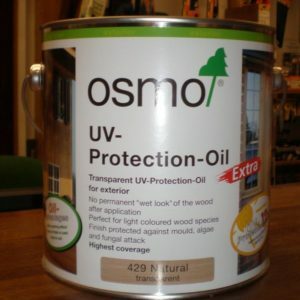 This oil also contains UV inhibitors and biocides to protect the oil from mould. However, this does not prevent the natural beauty of the wood to show through. Available in 2.5 litre tins only. 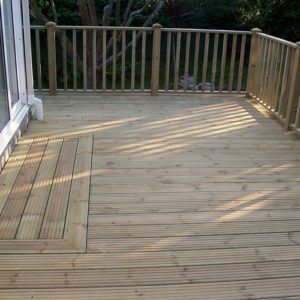 Textured deck oil can be applied over existing Rustins deck oils and can also be used over existing oil based finishes. However, it is good practice to test for compatibilit on a small area first. If applying over the top of other branded oils Rustins nor Southern Timber can be held responsible for any incompatibilities. Timber must be clean, smooth, dry, and free of dust and contaminants. Do not apply to damp timber as this will prevent the oil from penetrating the timber and adhering causing it to flake off and residual moisture in the timber may result in mould growth between the oil and timber surfaces. Hardwood species may need a clean with white spirit before treatment, if in doubt please check first. The oil coverage is approximately 12 – 14 square metres per litre per 1 coat. 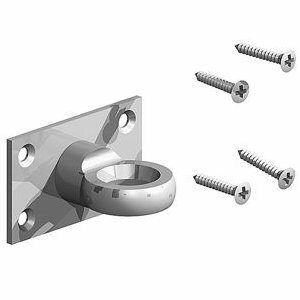 Therefore to achieve the low slip potential of BS7976 a total of three coats must be applied. Consequently a 2.5 litre tin should cover an area of approximately 10-11.7 square metres. Please ensure the product is well stirred before use and apply liberally with a clean brush allowing 4-8 hours between coats. Do not apply if rain is expected. Each coat should be applied at 90 degrees to each other to ensure an even spread of the slip resistant particles in the oil. Periodic re-oiling should be carried out as and when required. 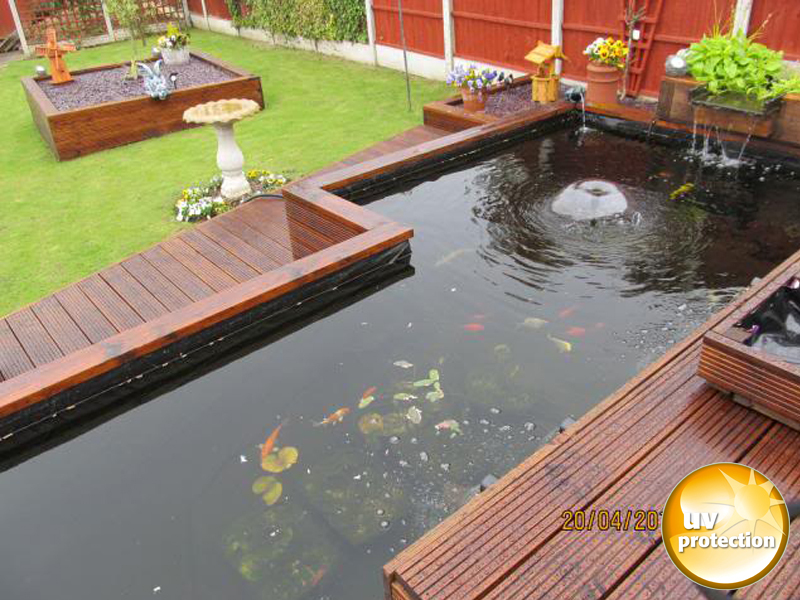 When applying to previously oiled wood the surface should be cleaned thoroughly and be free from contaminants. Any flaking or peeling edges need to removed to provide a uniform join between the old and new oils. Please clean brushes with white spirit or Brush Cleaner whilst they are still wet. Hard brushes can be cleaned with Brush Restorer. Tins of oil can be stored for many years in the original, tightly closed container in cool, dry place.